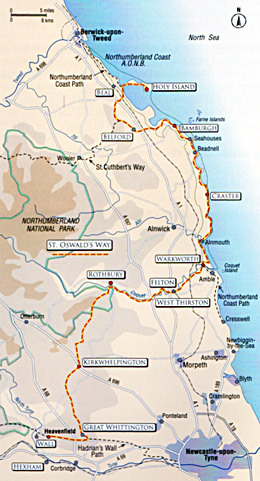 The Coast short walks are circular walks based in the northern, coastal part of St. Oswald’s Way and vary from 2 to 7 miles in length. None are particularly strenuous and they give you plenty of time to enjoy the scenery, history and take in some of the local amenities. They give you the chance to see some of the beautiful landscapes and historical sites that make Northumberland special.